Using data in your onboarding means being able to provide a personalized, concierge-like experience to all of your new customers, at scale. This is a guest post in our Product Innovator Series from Matt Sornson, Head of Growth Marketing at Clearbit. A decade ago, using any data at all to make your product better was huge. If you were lead scoring, sending behaviorally-triggered messages or even doing the heavy lifting to find inflection moments in your product, you were probably doing more than enough to give you one-up on your competition. Today, many of those basic techniques have become table stakes. You can A/B test your emails without a whole lot of heavy lifting on the back-end. You can pretty easily score your leads. It’s not enough to just do it anymore. If you want to differentiate, you have to go beyond the standard toolset and embrace personalization at a deeper level. The last era of personalization was an arms race. More = Better. The next era is about precision, who can wield their data the most creative and personalized way. In this piece, we’ll talk specifically about how to personalize user onboarding and the first-touch experience. Too often, we’re guessing about who our customers are when we write copy. 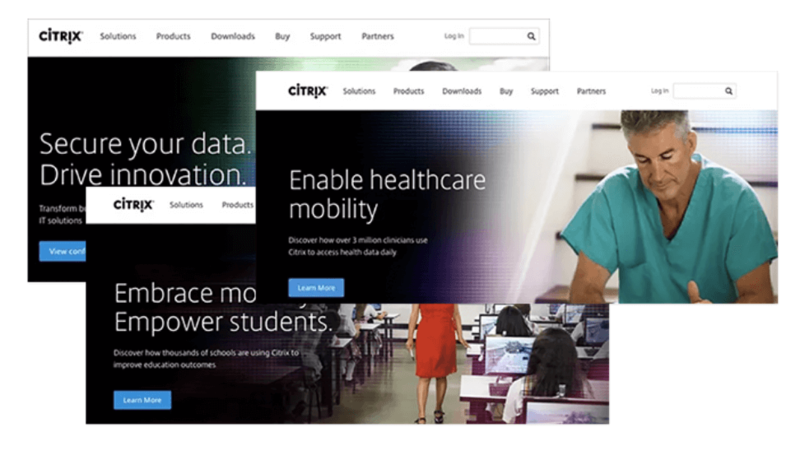 It’s not technically complex to do what Citrix did—just analyze your visitor data and funnel people to the landing page that makes the most sense for them. The way we used to design SaaS sites was all about finding the maximally valuable copy and design. Whatever got across the proposition of the product in the fastest and most effective way was the best design. To get there, you might have A/B tested various different designs. You might have spent weeks nailing your messaging, getting it just right. You might have adapted this over time as your customer base grew and started to skew more towards enterprise, or SMBs, or as you decided to pivot. But you were always fundamentally looking for one PR-ready invocation of your product’s meaning. Today, your focus should be less on finding the one design and the one copy strategy that is the most right for most people, and more on instrumenting your homepage experience so everyone sees the version of your site that most speaks to their needs. The better your customer onboarding process, the more it feels like your product was designed specifically for one customer. Using data in your onboarding means being able to provide a personalized, concierge-like experience to all of your new customers, at scale. Improving early retention is crucial. According to Patrick McKenzie, “40-60% of users who sign up for a free trial of your software or SaaS application will use it once and never come back.” That’s a lot of wasted customer acquisition spend. As we showed above, you can reap a huge amount of information about someone from their IP address. 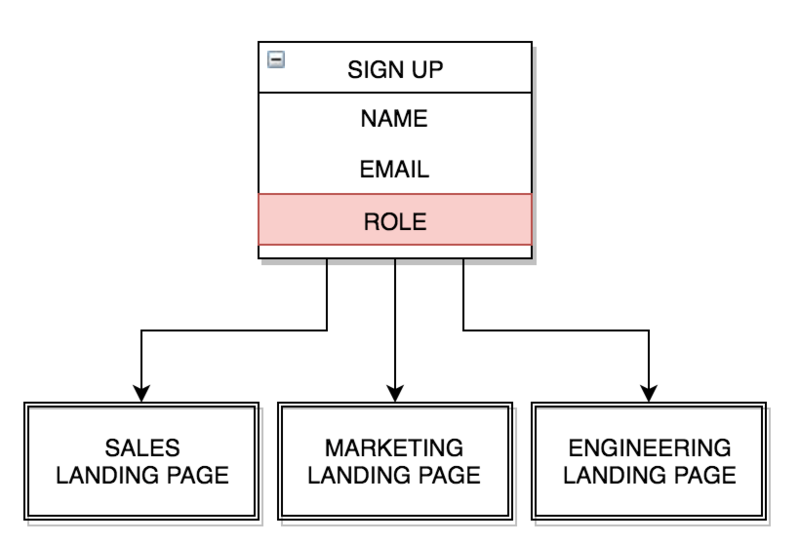 When it comes to onboarding, that information is hugely powerful. It can take a bad onboarding welcome email, for example, and turn it into a great one. Below, see Version A of an email we sent at Clearbit. Janet is a marketer, and yet our email presents her with features for sales reps and promotes our ability to reduce credit card fraud. Not ideal. 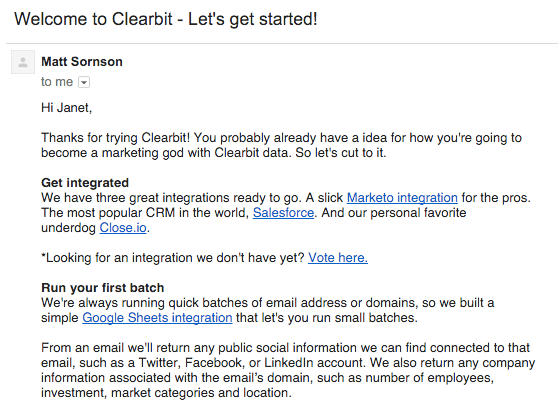 Version A of an early welcome email we sent at Clearbit. 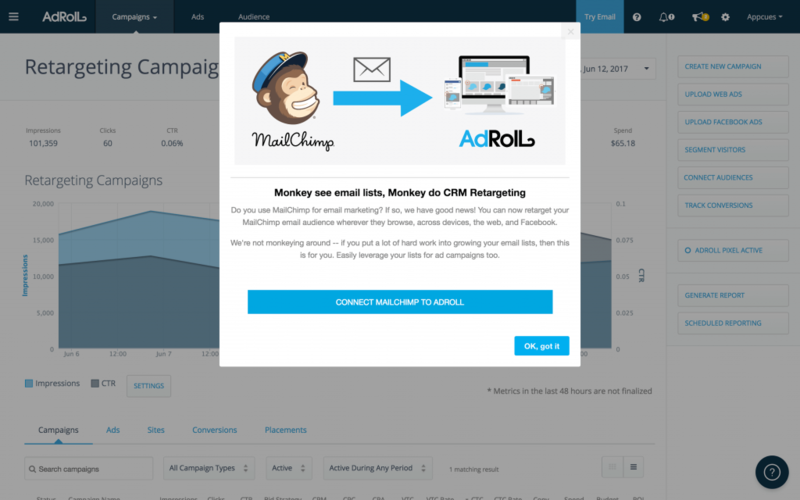 AdRoll promoted their MailChimp integration during the first-run experience. 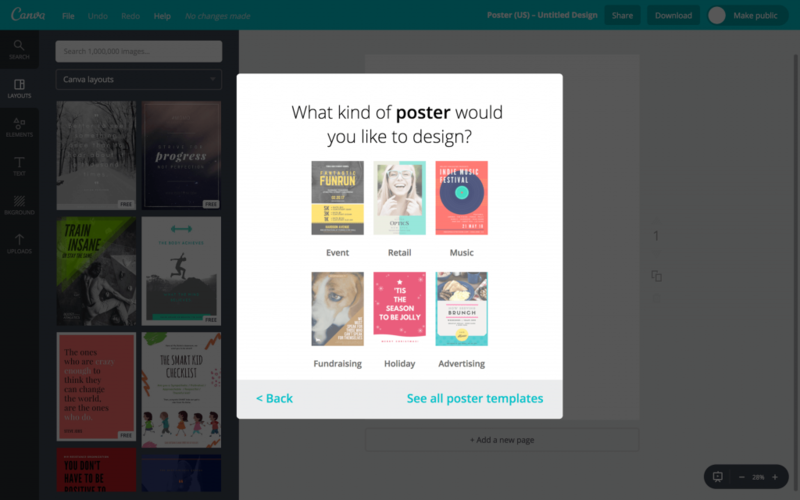 Example of a personalized first-run experience from Canva. Concierge service isn’t easy to deliver, especially in the onboarding flow for a product. In a hotel, it’s actually somewhat straightforward. Whether you’re staying at a Ritz or a Marriott, you have the same basic kind of needs—shelter, sustenance, comfort. In a B2B SaaS product, you might have salespeople, C-suite executives, marketers, engineers, designers, content writers—in short, a long list of people with different expectations and needs all potentially giving your product a test-run for the first time. The flipside is that whereas a hotel has to ask about the unique preferences of each guest that comes through, you don’t. That information is just available to you. It used to be the case that products operated basically the same way no matter who you were. Today, though, we’re seeing a trend away from highly specialized tools and towards more general, sandbox-like environments applicable to a range of users. Products like Intercom serve sales and marketing as much as they do the product team. 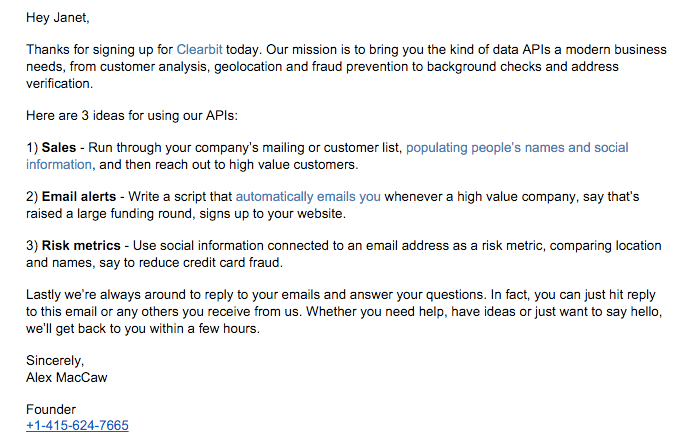 API-first tools—like Clearbit—do the same. Analytics products like Amplitude are designed for a number of teams, not just analysts, because today we expect and need everyone to make data-driven decisions. It’s no longer good enough to build a product that’s Good Enough for most people. And using data to personalize and customize our product experiences is how we move forward—from Good Enough to the best products we can build. Matt is the Head of Growth Marketing at Clearbit.